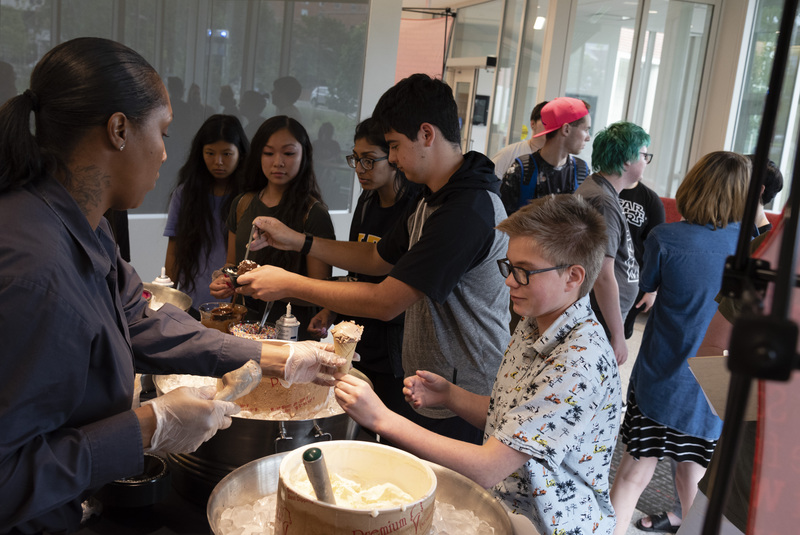 The IU School of Liberal Arts’ Residential-Based Learning Community hosted an ice cream social on Thursday, Sept. 6, that brought 131 students, faculty, and staff out to the dorm for a celebration of the start of the new school year. 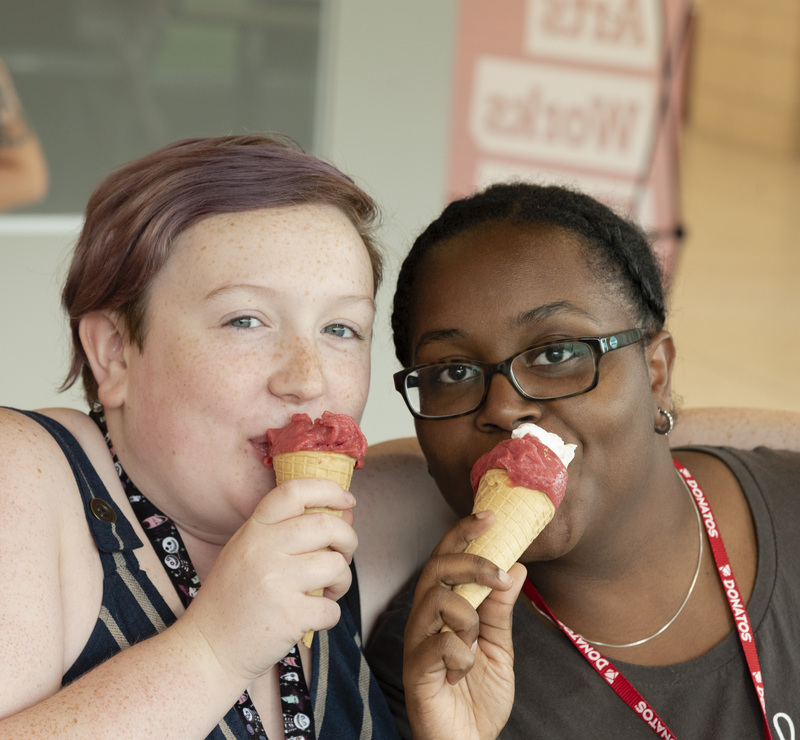 Located in North Hall, this was the second consecutive ice cream social and marked the beginning of the learning community’s second year. Last year, the event was held alongside a ribbon cutting ceremony to welcome the new liberal arts community to campus. Interim School of Liberal Arts dean Robert Rebein was on hand to meet and talk with students living in the community. Focused on civic engagement, liberal arts majors living in North Hall have the opportunity to not only participate in social activities but work directly with faculty on research, service projects, and scholarship opportunities. They can also take courses connected to the learning community and have easy access to internships and additional learning experiences in downtown Indianapolis. 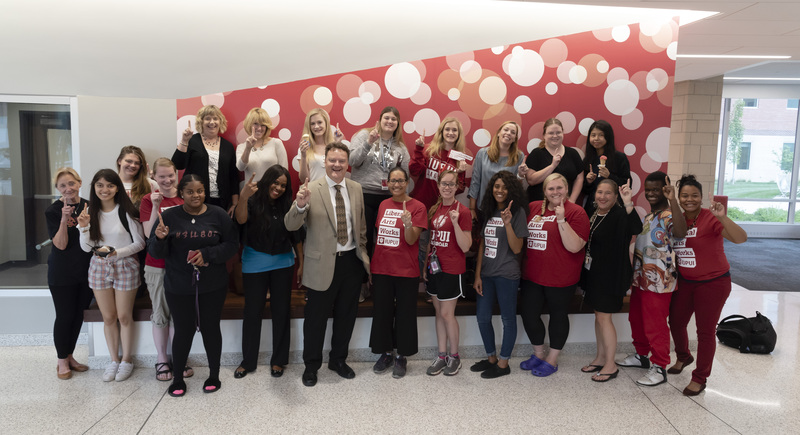 The community is open to all liberal arts majors, though freshmen are encouraged to participate in the IUPUI Summer Bridge or TLC program before the school year begins. Students can apply for 2019-20 housing in the Liberal Arts Community here.